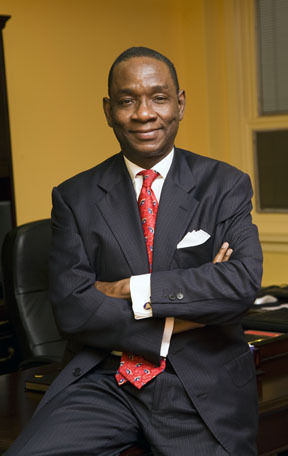 Robert K. Jenkins, Jr. is Senior Managing Director. He is our principal liaison to our nonprofit and public sector partners. Mr. Jenkins has three decades of executive level experience administering public sector community development initiatives. He has served as Executive Director of the DC Housing Authority, the 7th largest municipal affordable housing agency in the country and as Deputy Executive Director and COO of the Norfolk (VA) Redevelopment & Housing Authority (NRHA), the largest municipal community development agency in the state of Virginia. He has also served as President & CEO of the District of Columbia Development Corporation. Mr. Jenkins was the founding CEO of Hampton Roads Ventures (HRV), a U.S. Department of Treasury certified Community Development Entity (CDE) affiliated with NRHA that he organized, capitalized, and developed into a highly respected community development investment firm. Under Mr. Jenkins’ leadership, HRV was awarded four allocations of NMTC and became known as a NMTC innovator. HRV was the first CDE in Virginia, the first affiliate of a public housing authority to receive a NMTC allocation, the first to successfully combine NMTC with tax-exempt bond financing, the first to use NMTC in tandem with HUD public housing grant funds to finance a mixed-use (residential/commercial) project, and one of the first CDEs to combine NMTC with Historic Tax Credits. Council of the Urban Land Institute and the Boards of Directors of the NMTC Coalition, the Old Dominion University Community Development Corporation and DV Community Ventures of which he is Chairman.